Come play Heaven or Hell with us! Win prizes and have fun! 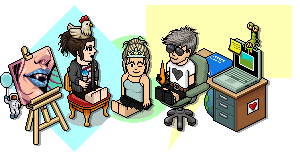 Just search [Habbox] in the room navigation list! Hosted by your very own, MintSquib!